This is definitely my favourite Saturday night outfit for dancing in. 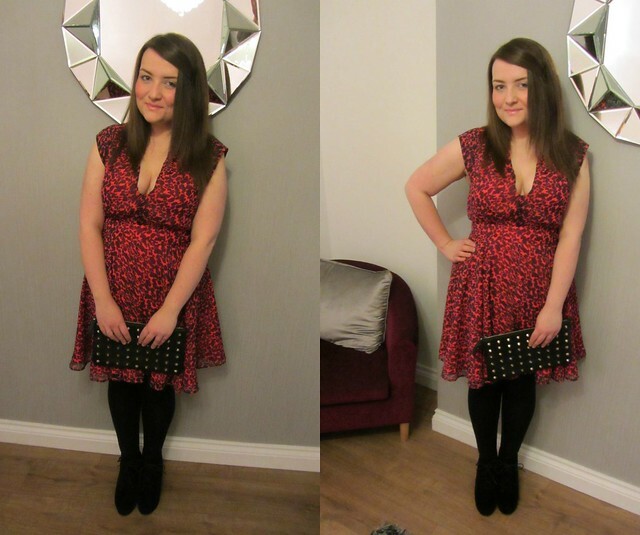 I wore this out last Saturday and typing this up and seeing the photos is bringing back memories of the Dirty Pop night that I go to 'I knew you were trouble when you walked in, so shame on me now' Taylor Swift singalong anyone? I only like Taylor Swift between 12-3 on a Saturday night. That makes it acceptable, right? I don't normally shop at French Connection but I tried this dress on and it's just so swooshy I couldn't leave it there. Its animal print but in a weird coral and navy combination that I've not seen before so a nice twist on all the other leopard print things I own. If I ever wear something girly I feel the need to toughen it up so I usually pair this dress with my studded clutch and some boots. Barratts kindly provided these boots which are perfect for a night out. 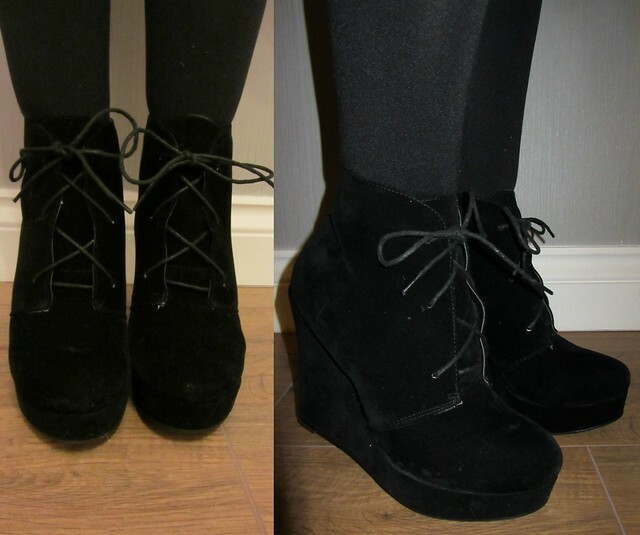 They add some height but I can actually walk in them, what more could a girl ask for? These photos are taken after I worn them a few times in grotty rock clubs and they are still looking good which I wasn't expecting for a suede-like material. Oh I love the dress on you, recently I've bought a few things from FCUK but that has been the first time for years! Alright hot stuff! Looking amazing Gem! Those shoes are beautiful! They look so comfy too. Those shoes are gorgeous! As is the dress for that matter, I love how you described it as swooshy as I always look for that in dresses. I loveeeeeeeeeee the dress, its so gorge!! I'm big fan of leopard print and I love the twist on it! The shoes are awesome too! !